Action research is increasingly used as a means for teachers to improve their instruction, yet for many the idea of doing "research" can be somewhat intimidating. Using Action Research to Improve Instruction offers a comprehensive, easy-to-understand approach to action research in classroom settings. This engaging and accessible guide is grounded in sources of data readily available to teachers, such as classroom observations, student writing, surveys, interviews, and tests. Organized to mirror the action research process, the highly interactive format prompts readers to discover a focus, create research questions, address design and methodology, collect information, conduct data analysis, communicate the results, and to generate evidence-based teaching strategies. Engaging in these decision-making processes builds the skills essential to action research and promotes a deeper understanding of teaching practice. 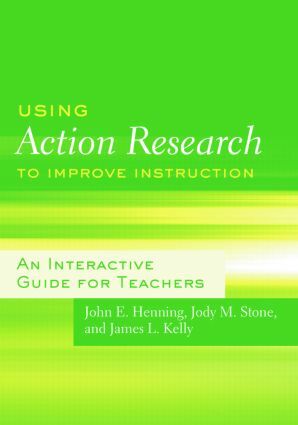 This original text is a must-read for teachers interested in how they can use their current knowledge of instruction and assessment to meaningfully engage in action research.